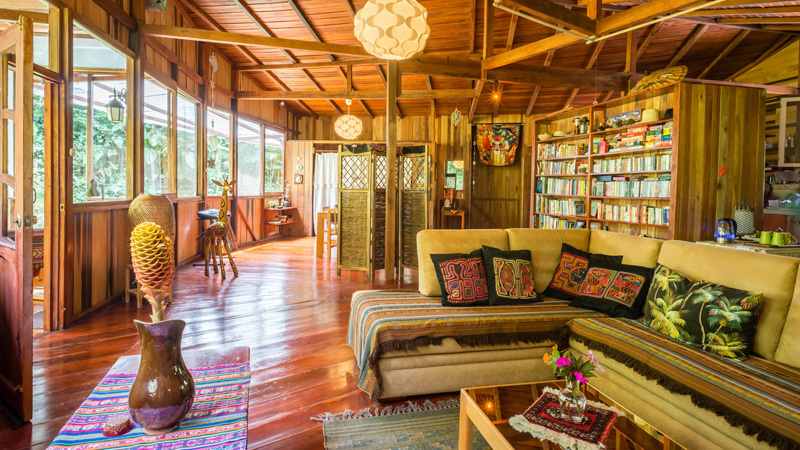 At Casa Verde Raw Yoga Hiking Retreat Ecuador we offer attentive and personalized yoga, world class hiking, as well as raw/vegan cuisine and meal prep instruction. We have unparalleled peace and quiet in outstanding nature. 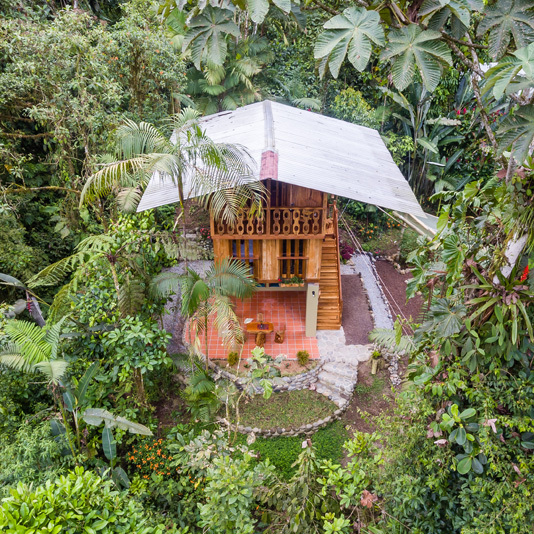 We are nestled on 5 acres of cloud forest backing up to the mountainous 47,444 acres of nationally protected Mindo-Nambillo Preserve in the Andes. Just 2 hours west of the capital city Quito and 4 miles outside the village of Mindo, the area is known worldwide for its fantastic birding and incredible diversity of plants, orchids, and butterflies. Our property has 5 trails, 3 waterfalls, and 3 creeks to explore and enjoy. Because of our fertile location (good temperature, excellent soil and the right amount of sun and rain) we can grow bananas, avocados, pineapples, citrus, herbs, spices, greens, veggies and a multitude of exotic flowers right in our front yard year round. The main house is a large lodge, hand constructed of local woods, walls of huge windows in every room to observe and absorb wildlife. The guest wing has 2 bedrooms, each with private baths. 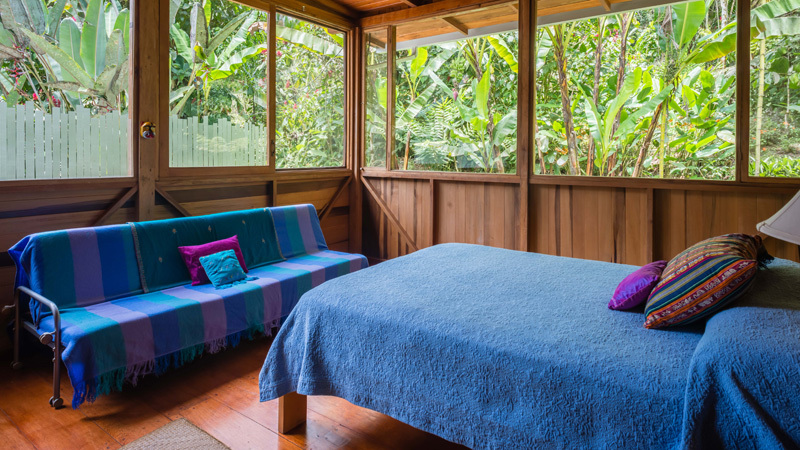 The “Yellow” guest room has 2 comfortable single beds and lush forest views. You can lie in your bed and watch beautiful tropical birds. The “Blue” guest room has a comfortable double bed and couch with sunny views of the mountains. YOUR INVESTMENT in your total well-being is $2,249 for 6 nights, all-inclusive except for transport. We recommend a transformational 9-night retreat, for which we gladly extend a 10% discount ($3,115). Retreats are exclusive, personalized, one on one and on-going, choose the perfect time and come. We always give guests their own rooms for optimum peace and privacy. If you prefer to share a room with a friend or loved one, we are happy to accommodate you. We kindly request a 50% deposit to hold your reservation. Sorry no refunds, no exceptions. 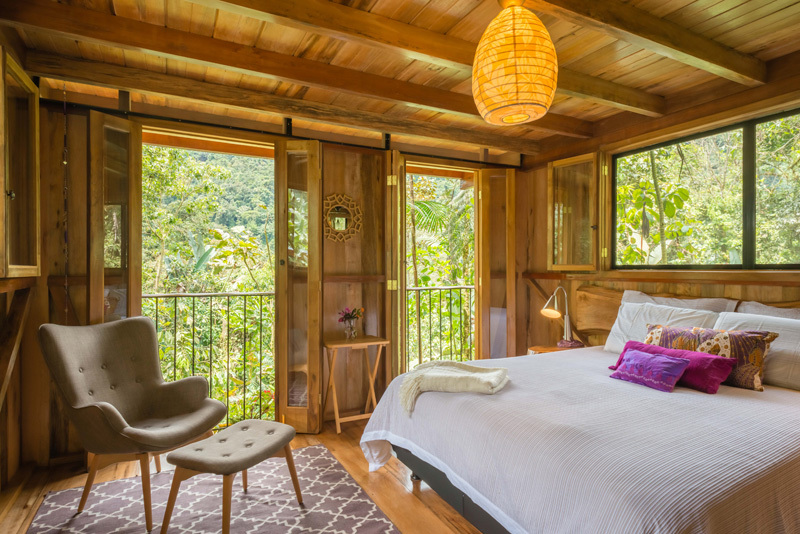 The Orchid, is a private cabin nestled amidst the treetops of the Cloud Forest. 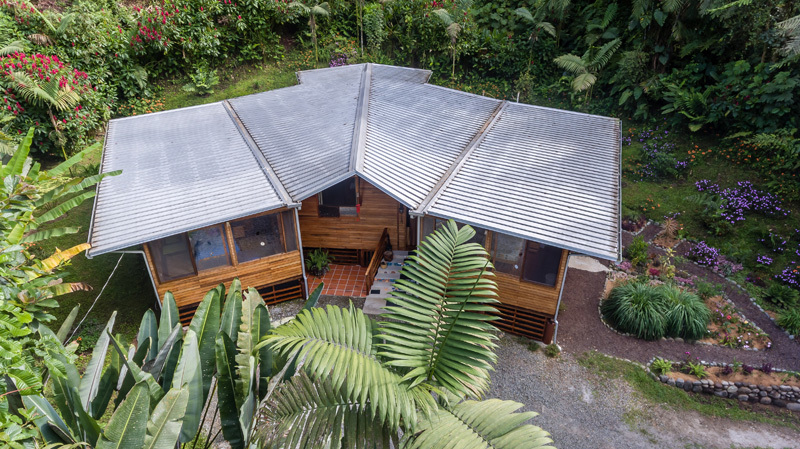 It has been hand-crafted from local hardwoods and the resulting space is simple, spacious, and luxurious with panoramic views of the surrounding untouched landscape. The ground floor patio is complete with swings, a fire pit, bathroom, and shower. Stairs lead up to the second story bedroom with large windows, a queen-sized bed, and small powder room. For your comfort, this beautiful room is equipped with a quality mattress, soft organic bedding, and the perfect reading chair. The third floor holds the living room along with a kitchenette and private balcony. 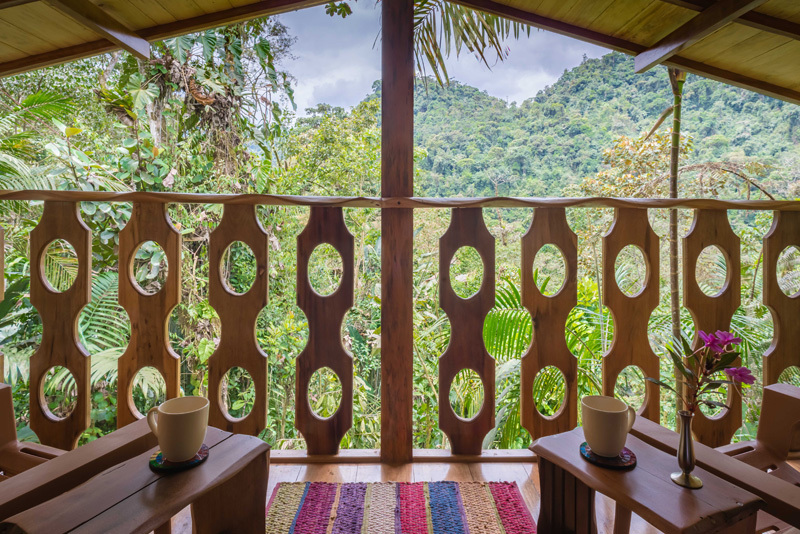 This is the perfect place to relax and enjoy the tropical birds in nearby trees while the Mindo River rushes quietly in the distance. The Orchid is offered as an upgrade for one person or 2 people (sharing the bed) for $450 extra a week. Guests tell us it was well worth it! The Orchid is also available for HEALTHY HONEYMOONS, a wholesome alternative to celebrate your marriage! There is nothing like your own little private getaway nestled in nature. 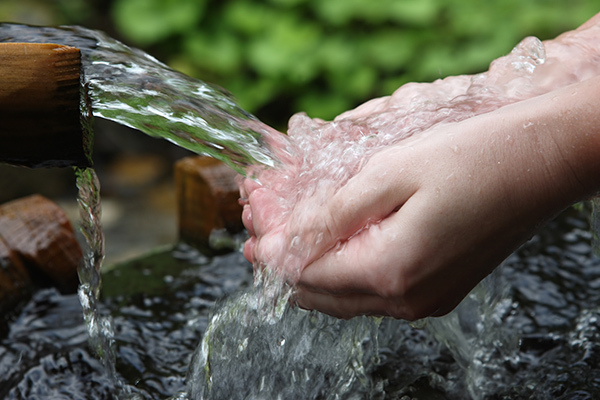 Our water source comes from a pristine mountain spring on the property, the freshest, cleanest, sweetest water anywhere. Air quality is superb. You will only hear the natural sounds of the river and forest and enjoy the lush tranquil mountain views. 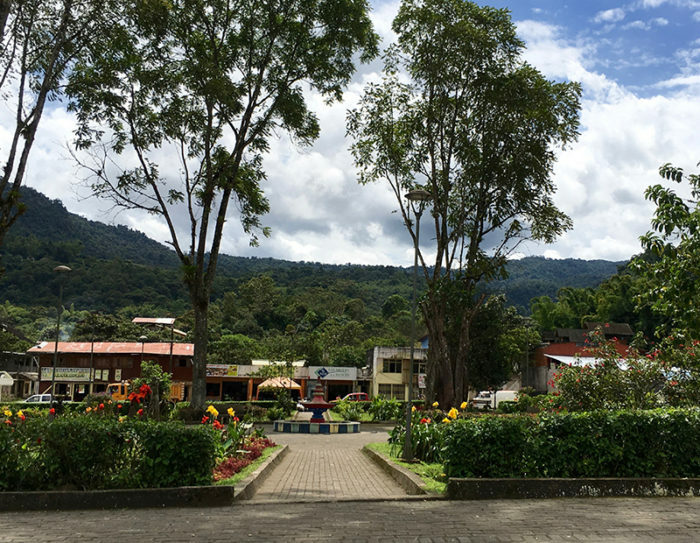 The village of Mindo is popular with Ecuadorians as well as International travelers on the weekends. 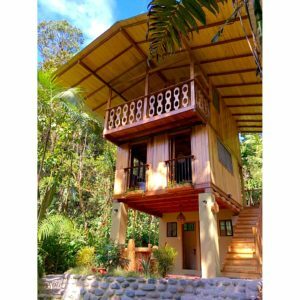 The area is loaded with trails, waterfalls and outdoor activities such as river tubing, hiking, bird watching, horseback riding, orchid gardens, butterfly farms and sprinkled with eco resorts, hostels, small artisan chocolate factories, cafes, and restaurants. GETTING HERE: Fly into Quito (UIO). The airport is one hour east of the Capital City. Flights may arrive late night. We can recommend a hotel to stay at near the airport, or you can choose your own in Quito. 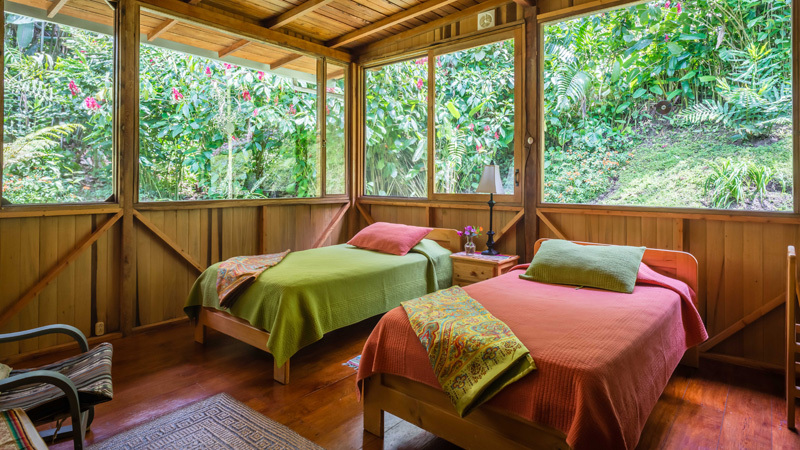 Depending on your flight, the following morning we will arrange taxi pickup to our property (an Amazing 3-hour drive thru the Andes) arriving at Casa Verde Raw Yoga Hiking Retreat mid-day. Since many flights leave Ecuador early morning, you may need to spend the night near the airport on your return as well. Please keep this in mind while planning your trip.